As well as taking over UK living rooms, it appears Love Island is also having an impact on our travel habits too. If you haven’t been roped into watching the incredibly binge-worthy reality TV programme, the BAFTA-winning show offers the ultimate holiday for singles, and places a range of attractive UK singletons in a stunning Mallorcan villa for several weeks in their bid to find love. The show follows the contestants every move as they attempt to couple up with each other and win a £50K cash prize (and a range of promotional opportunities no doubt!). The show is so popular, that last year the Love Island finale brought in a record number of viewers for ITV2. 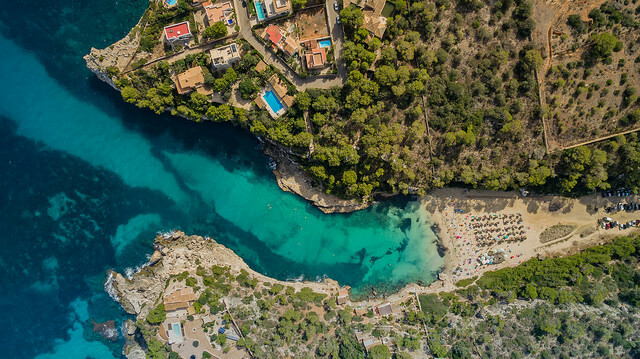 Since the show first aired last month, a study by eDreams.co.uk has found that holidays to Mallorca have increased by 23% compared to last year, rising 6 places in the company’s top 10 holiday destinations. This now makes Mallorca the second most popular holiday destination for Brits, with Malaga taking the top spot. According to The Sun, Wowcher also saw a 74% increase in searches ahead of the show’s launch this year. And it’s easy to see why – Mallorca boasts white sandy beaches, clear blue waters and a nightlife like no other. Jet2.com has also said that in order to meet demands, the company has had to increase flights by 13%. They’ve also claimed that over 1 million seats to the island have been on sale this summer, equating to 116 flights per week compared to 79 last summer. Looking to have a Love Island adventure of your own? We have two fantastic Mallorca-based singles holidays on offer at Hotel Blue Mar and Casa del Mar. Enquire today to find out more details.